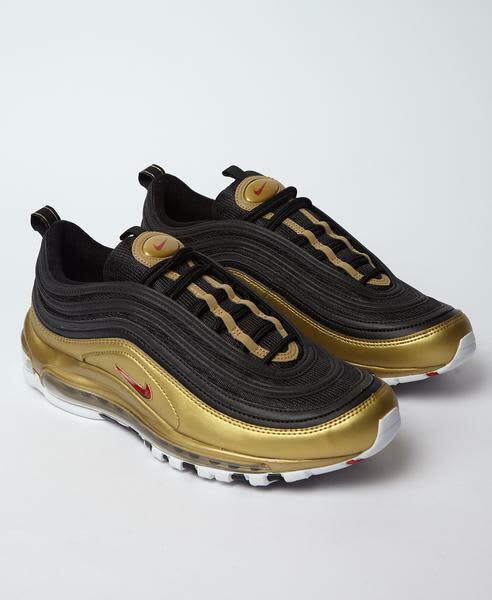 This is the Nike Air Max 97 QuickStrike in Black and Gold. This special edition sees the iconic classic colourway flipped for a fresh new look. 'B-Side' refers to the reversing of the OG colour blocking. Sefton in London, United Kingdom.